If your Wintertime cabin fever has gotten bad enough that you're dreaming of being literally anywhere but Boston, but you don't want to commit to a trip to Eritrea because frankly, you're not even sure if it's hot or cold there because you didn't pay enough attention in social studies, never fear! Take yourself on a Phileas Fogg-style trip around the globe without getting "frisked" by the TSA leaving Boston with these dishes from international eateries that go way beyond the pork lo mein that has been in your fridge way too long. With 4,655 miles of coastline, Brazil works serious magic with seafood. 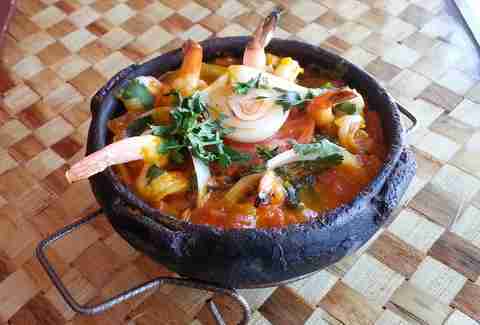 Head to this Inman Square Ipanema outpost for their namesake dish, moqueca: a colorful seafood stew served happily bubbling in a special clay pot that stays perfectly warm throughout your meal. 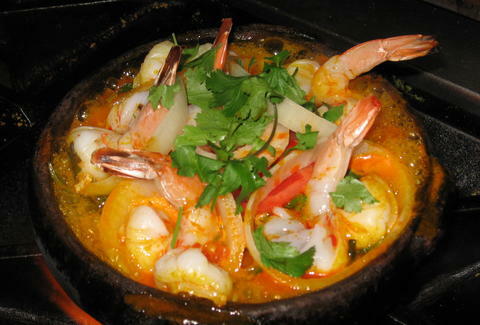 Go for the whole ocean with the "Completa", which includes fish, shrimp, mussels, and calamari simmering in a rich tomato broth with garlic and onions that's topped with fresh cilantro. Rice and pirao (gravy of fish broth and cassava flour) round out the meal. Soak in the Iberian countryside ambiance at Atasca where the walls are bedecked with souvenirs, family heirlooms, wine corks, plates, and pottery. 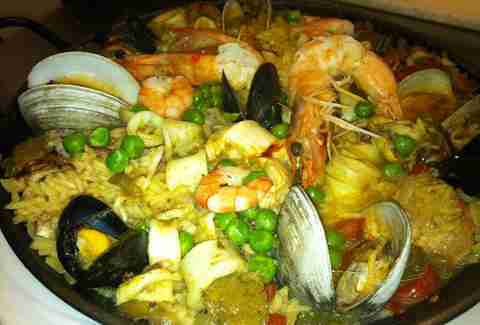 Once you’re nestled in, luxuriate with Arroz De Mariscos A Valencia, a Portuguese-style paella built for two with shrimp, mussels, clams, squid, pork, linguica, and chicken. While you’re at it, you should also go with a well-made caipirinha, because why not. 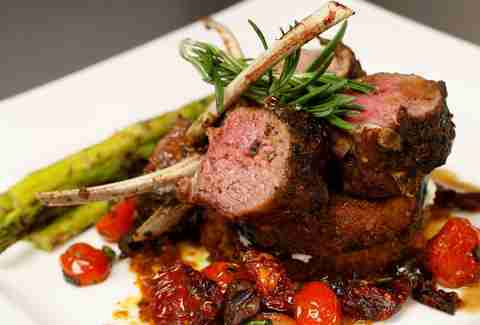 Be the master of your own Mediterranean-style, meaty destiny with the Sultan’s Kadra, a za’atar spiced rack of lamb, three cheese-filled eggplant, wild mushrooms, figs, apricots, and a rosemary reduction. Bonus feature(s): this is a multi-sensory experience that includes tarot card readers, belly dancers, and cigars/hookahs (in the connected Khoullshi Lounge). So yeah, you'll be busy. 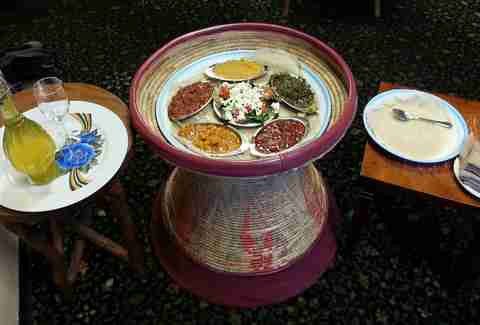 At Asmara you can immerse yourself in Eritrean culture with family-style dining sans utensils as you scoop up bold tastes with Injera bread while sitting at a traditional Mesob woven basket table (you're going to need extra napkins). For the full experience, share the six-dish feast Sega Bebaynetu (chicken, spicy lamb, sautéed beef, vegetable stew, lentils, house salad) highlighting all of the best home-cooked goodness. Extra bonus: to complement the 27-spice blends (amazing), order a glass of the smooth and mild house-made honey wine. Nothing warms an icy soul like the wood-fired bread oven glowing enticingly within Helmand's, except maybe their must-try pumpkin kaddo appetizer. Or maybe an episode of Full House. But the main event here is the Chowpan: a marinated and grilled half rack of lamb with sautéed eggplant, pallow rice, and a quartered fresh pear, resulting in a brilliant savory/sweet balance. 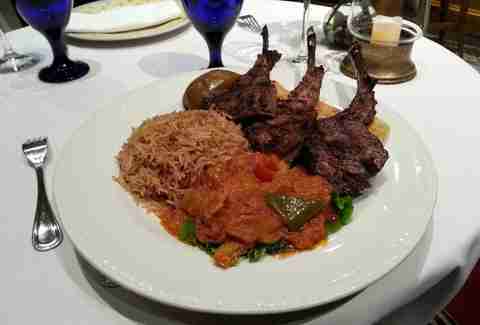 True story: visiting foreign dignitaries AND royalty are repeat customers. YoMa offers truly authentic Burmese slow-cooking (no pythons) that blends influences of Indian, Southeast Asian, and Chinese cuisines with plenty of fresh-ground spices and other unique ingredients. 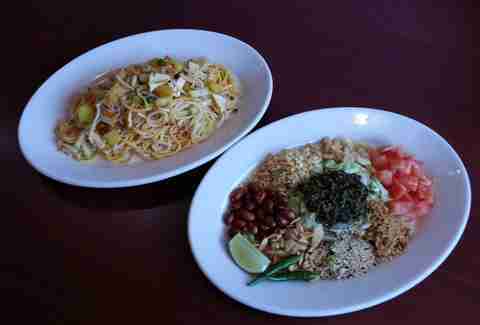 Begin your adventure with the exclusive-to-YoMa tea salad, and then opt for AThohSone, a spicy assortment of steamed noodles (three types), cabbage, cucumber, onion, potato, tofu (home-made with chickpea flour and very creamy), peanuts, garlic, cilantro, scallion, and tamarind sauce. You will be pleased. Make the arduous trek to the Roof of the World and discover an abundance of robust meat dishes for the high-altitude carnivore. 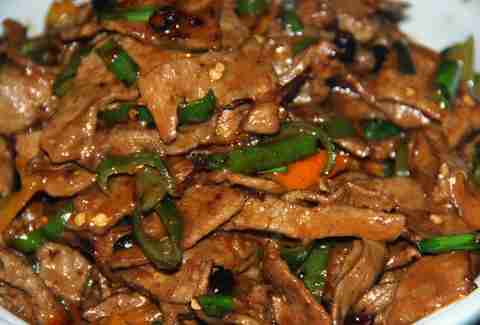 Enjoy the Langsha Tsel Nezom, tender beef and fresh mixed vegetables cooked with ginger, garlic, tomato, onion, and spices. Bonus bite: begin your ascent with satisfying handmade momo dumplings (veggie, minced beef, or chicken). They’re called that because you’ll want mo’ and mo’ of them. Or at least that SHOULD be the reason. 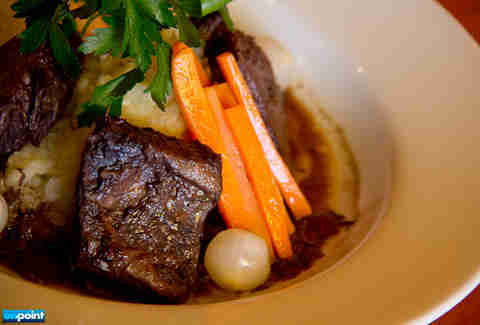 Aside from the opportunity for hilarious jokes about your bygone fraternity days, EW also provides a nod to culinary fusion (and bygone colonial days) with a menu that's equally comfortable indulging you in a rustic helping of burgundy and Cognac-laden boeuf bourguignon and a taste of Nataing, ground pork simmered in coconut milk with sliced garlic, peanuts, and chili pods, served with crispy rice for dipping. Have a favorite we missed? Let us know in the comments.